With built-in micro light bulb. Warm, atmospheric lightning. For 6V up to 12V. Low power consumption (20-40 mA). 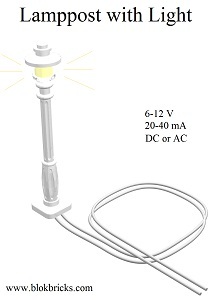 With 0,5 metre light gray connecting wire. 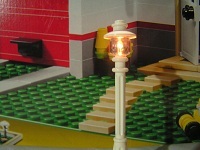 For every 5 Lampposts a 9V battery connector for free. Order 10 for a reduced price.